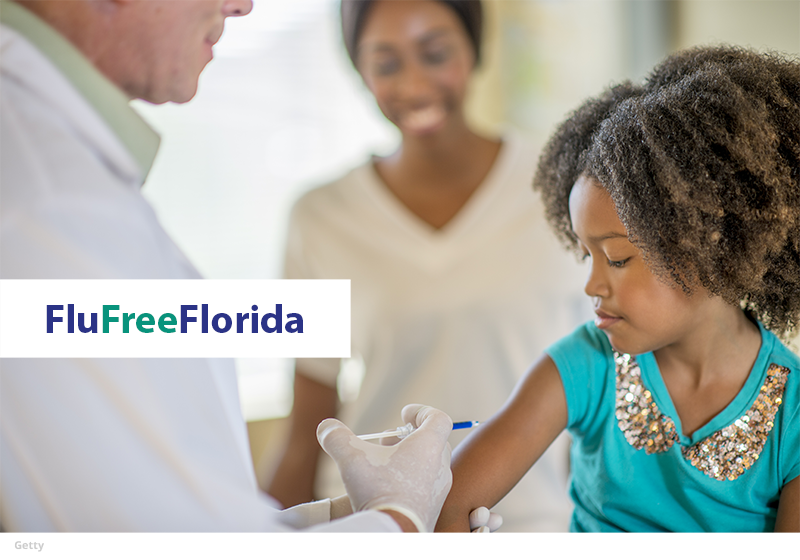 With this year’s flu season in full swing, it is critical that all Floridians get the flu vaccine to protect against infection and help prevent the spread of seasonal flu to others. It is never too late to get your flu shot. The annual flu vaccine is safe and is the most effective way to protect yourself and your loved ones. The vaccine is recommended for everyone six months and older, including pregnant women. Floridians who are at high risk of flu-related complications include young children, pregnant women, people with certain chronic health conditions like asthma, diabetes, heart disease or lung disease, and people aged 65 years and older. It takes approximately two weeks after vaccination for your body to develop protection against the flu. The Centers for Disease Control and Prevention (CDC) recommend getting a flu vaccine every year because flu viruses evolve quickly, and last year’s vaccine may not protect against the current year’s flu strain. Even if the flu vaccine does not fully protect against the flu, it may reduce the severity of symptoms and the risk of complications. The flu vaccine is offered in many convenient locations, including doctor's offices, clinics, health departments, retail stores, pharmacies, health centers and by many employers and schools. Visit the department’s flu shot locater page to search for a flu vaccine location near you.